Hello everyone. I participated in this contest last year and I was wondering why it was not listed or promoted over here or such forums considering how big this event is. So I'm just listing the details of the contest from the site as is. If you need to ask any questions or have any queries related to this contest, contact annika at wettbewerbe@dokomi.de (You'll get response within 1-3 days). You can submit amvs only in the following categories. (From what I can see, there is no freshness rule) So I guess you can submit any of your previous work that seem to fit these categories but it's better to check with coordinator before submitting. 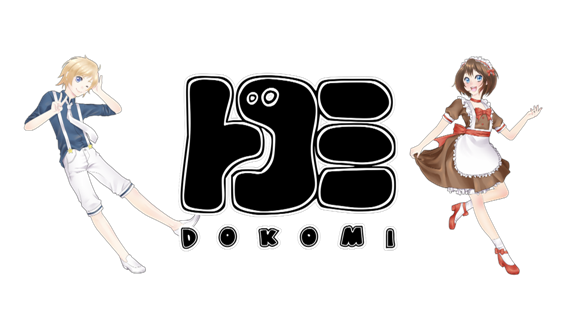 DoKomi is celebrating its 10th anniversary. We also want to celebrate this occasion in our AMVs. Therefore, the following motive should be taken up in your AMV: The protagonists of the AMV are celebrating a party. For example, this can be represented by dance scenes, birthday parties, confetti cannons, dancing on the tables, etc. Make us really hungry with great AMVs, in which you primarily show how things are cooked, eaten or prepared dishes, which make our mouths water. Whether computer, console or board games: Show us how your protagonists do some gaming. This is primarily about the process of playing, not the game itself. We don't mean AMVs which consist predominantly of "ingame scenes", e.g. Sword Art Online, .hack // Sign. The deadline is 22nd of April 2018! The winners will be announced at the closing ceremony at DoKomi on 20th of May 2018! The three best AMVs for each theme will recive material prizes with a total value of 450 €. The prizes are situated by our sponsors. Can I participate if I do not live in Germany? Can I make more than one entry? Do I have to be at the DoKomi to win? What happens to my prize if I'm not there to collect it? We will send you your prizes via post package. Therefore we need your address. No. Everybody from 0 to 122 years can participate. 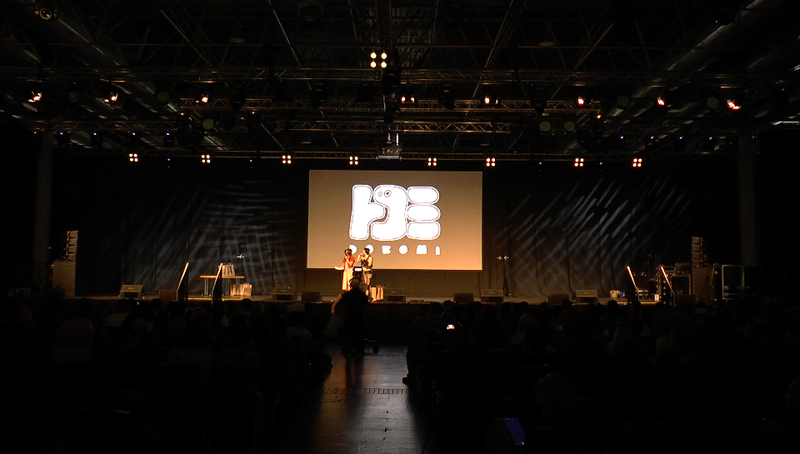 At the award ceremony of the DoKomi. A jury consisting of the head organization and the contest-team. Can I participate in more than one contest? Can you use my alias instead of my real name? Can I publish my work before the winners are announced? Yes. Of course. You can also state that this work will participate at our contest. How long can / must the AMV be? There is no limit in length. 2 to 3 minutes are usual. Can I use songs unmodified? Can I use different animes? Can the AMV contain motionless images? Yes, but that should be used wisely for the overall impression. Am I only allowed to use Japanese music? Of course not. If you want, you can even use songs by Helene Fischer, Justin Bieber or Bushido. Does the title of the song have to appear in the AMV? No. But if the lyrics of the song fit the content of the video, that works great. Can the music be cut? The above image is from last year's closing ceremonies. This contest might be different from the ones we usually participate in meaning there are no finalists mentioned, the judging process might be different, not sure if all videos are screened but 1st place video in each category is shown at closing ceremonies. If you are not attending the con, you might have to keep an eye on its official website for the result update but I'll see if I can post it here by then. Pysh wrote: I participated in this contest last year and I was wondering why it was not listed or promoted over here or such forums considering how big this event is. It's probably not listed because the organizers don't care about the contest. So they won't post it here. The "contest" only takes 15 minutes and shows three AMVs, the winning entry in each of the three categorys. Last years prices included some random german manga volumes and soap. Dokomi is a pretty average Anime convention but from what i heard they have a great Anime dance floor. "Watch me. That's the real joke." I see. Still there's a room for improvement, it might take time but if they get good amount of quality amvs... it'd get their attention and may it'd be hosted the same way as other amv contests. Pysh wrote: I see. Still there's a room for improvement, it might take time but if they get good amount of quality amvs... it'd get their attention and may it'd be hosted the same way as other amv contests. There is lots of ways to improve if you're at the bottom of the barrel. Unfortunately the contest hasn't changed the slightest in the past six years. So where do you expect it to suddenly go? They have no idea what a good AMV is. They have no idea what a good AMV Contest is. And they don't care.